Exploring the world of Skylanders! P4C had a very exciting morning using Skylanders on the Xbox as a stimulus for learning. Mr Love came in to work with us, he helped us design our own Skylanders character and create an animation of our character using Scratch. 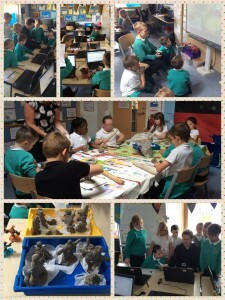 We also had the opportunity to make our character from clay and we each had a turn to play Skylanders on the Xbox! It was so much fun! We have made a movie of our morning so watch out for this at the parents open evening next week!